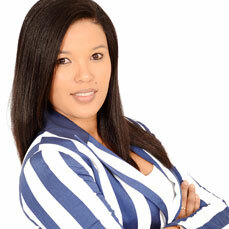 Lizelle is a performance driven individual with combined experience in Sales, Recruitment and Marketing. She started off her career in the Marketing Industry where she Coordinated and recruited for bulk marketing and promotions projects, at the age of (26) Lizelle moved to Canada and worked in the Tourism and Sales industry, gaining International work experience. Upon her return to South Africa, she started working for one of the largest JSE listed Recruitment agencies, where in less than one year became one of the Top Billers in Johannesburg. Lizelle changed the normal standards for recruitment as 50% of her placements were a 1:1 Ratio (meaning 1 candidate interviewed = 1 placement). Here Lizelle knew she has the skills to identify exceptional candidates and the ability to understand exactly what her clients wanted and how to meet their expectations. Lizelle gained the trust of her candidates and clients which lead to a multitude of word of mouth referrals and repeat business. Lizelle has a passion for working with people, building strong relationships and maintaining these relationships. She is a self-starter who has a zest for life, loves to travel and thrives on new challenges. Because of her desire to inspire, lead and develop young individuals such as herself. Lizelle partnered up with her colleague and best friend Lushia van Buuren and Luelle Consulting was born. They both knew with the skills they have acquired over the years and passion for making a difference in people’s lives, Luelle Consulting will definitely become a force to be reckoned with in the market place.